Over the weekend, the Personal Connected Health Alliance (PCHAlliance) and the Wireless-Life Sciences Alliance (WLSA) announced that the San Diego-based WLSA would be combining its operations with the PCHAlliance. This follows on the earlier announcement [TTA 21 Oct] that the Boston-based and Partners HealthCare- owned Connected Health Symposium would be folding its operation into the PCHAlliance. Both Robert B. McCray, co-founder and CEO of WLSA, and Dr Joseph Kvedar of Partners HealthCare are now Senior Advisers to the PCHAlliance, with Mr McCraw heading Thought Leadership and Dr Kvedar now Program Chair of next year’s event. WLSA has been largely inactive on the conference scene since 2015, when it staged its last Convergence Summit in May and the Wireless Health event in October of that year. The Convergence Summit has been merged into PCHAlliance’s Connected Health Conference kicking off today near Washington, DC. The Wireless Health event will continue through a collaboration with IEEE/EMBS cooperating with the National Institutes of Health (NIH) and the National Science Foundation (NSF). In their release, PCHAlliance emphasized WLSA’s experience in research within engineering, computer science, biomedical and health disciplines. Patricia (Patty) Mechael, PhD, Executive Vice President, PCHAlliance in the release was quoted that “Their focus on medical and health research communities is a perfect compliment to our commitment to accelerate the adoption of clinical grade technology in consumer-friendly health outcomes- based business models.” Life science companies will be welcomed for membership in the PCHAlliance. PCHAlliance also includes Continua, which for well over a decade has been promoting engineering standards for device interoperability. As this Editor looked back in October, when most of these organizations and events started about 2007-8, there were few Big Health conferences that took what was then dubbed eHealth and mHealth (later Digital Health) seriously. Now, of course, they do. There are also multiple events, large and small, expensive and popularly priced, every month in many cities–we attended and reported on #MedMo16 which will be branching out to multiple cities in 2017. In looking back at our articles, the WLSA was engaged with the conference almost from the start, when the mHealth Summitwas one of the first ‘big name/big support’ conferences. Its tack then was governmental policy and what international NGOs were doing as a model for developed nations. It was organized by the Foundation for the National Institutes of Health, the National Institutes of Health and the mHealth Alliance up to 2012, when HIMSS took it over. Grizzled Pioneers, and even the non-grizzled, can testify to the multiple phases in a decade up and down the Hype Curve: device-driven, mobile-driven, sensor-driven, telehealth, wearables, Big Data, population health, patient engagement, analytics, data integration, outcomes-based and a few others. This move confirms that many factors are blending: academic, engineering, software, biotech, genomics, social, behavioral, governmental–and that technology is not standalone or sitting in isolation, but is integrating and manifesting itself in all sorts of interesting places both behind the consumer scene and in policy, and to consumers on mobiles and in the home (IoT, which hasn’t resolved its multiple and obvious security problems). Also Neil Versel in MedCityNews. TTA is a media partner of the PCHA CHC for the 8th year, starting in 2009 when it was the brand new mHealth Summit. Conference tweets on #connect2health. One of the earliest conferences in healthcare tech, the Connected Health Symposium organized annually in Boston by Partners HealthCare, is merging with the Personal Connected Health Alliance (PCHAlliance)‘s Connected Health Conference to stage one conference in 2017. Joseph C. Kvedar, MD, who is VP Connected Health at Partners HealthCare, will be a senior advisor to PCHAlliance, a featured speaker at this year’s PCHA CHC in December and will be the Program Chair for the newly combined event. To this Editor, it’s a logical move as when both of these conferences were pioneering nearly a decade ago, there were few venues beyond the traditional (and boring) Big Health meetings. Now there are multiple meetings, large and small, expensive and popularly priced, every month in many cities. In the release there is no information on when and where the joint event will be. The Symposium was in October and the 2016 PCHA CHC will be 11-14 December at the Gaylord National Harbor near Washington DC. TTA is a media partner of the PCHA CHC for the 8th year, starting in 2009 when it was the brand new mHealth Summit. “Shuttle Corridor” Conferences this fall! Coming up fast: New Jersey Institute of Technology is hosting a TEDxNJIT event on Innovation and Collaboration next Wednesday 28 Sept at the Jim Wise Theatre on their Newark campus. It’s not strictly healthcare–it includes everything from nanotech to the arts, students, entrepreneurs and local government. TEDx is the local, self-organized version of TED talks and “Ideas Worth Spreading”. See their flyer and website. Hat tip to Michael Ehrlich of NJIT’s Martin Tuchman School of Management. Partners HealthCare is hosting its 13th Annual Connected Health Symposium (CHS) 20-21 October, with an opening networking event on the 19th October evening, all at the Boston Seaport World Trade Center. The theme this year is “Digital Technology That Cares: Bringing the Human Element to Life”. Speakers are listed here. The CHS has traditionally been focused on care delivery and how it impacts the daily lives of patients, with a significant academic bent. More information, registration. And put a few days aside before Christmas for the PCHA Connected Health Conference at the Gaylord National Harbor Resort near Washington DC, now back in December (11-14) when it belongs. It also includes the Global Digital Health Forum on the last two days, a separate conference co-presented by PCHA and the Global Digital Health Network, with the Canada-US Connected Health Workshop on the 14th and three pre-conference events on Sunday the 11th. More to come. TTA is a media partner of the PCHA CHC for the 8th year, starting in 2009 when it was the brand new mHealth Summit. Rock Health Summit (29-30 Sept) in San Francisco. Register here. Health 2.0 Annual Conference (4-7 October), San Francisco. More information here. 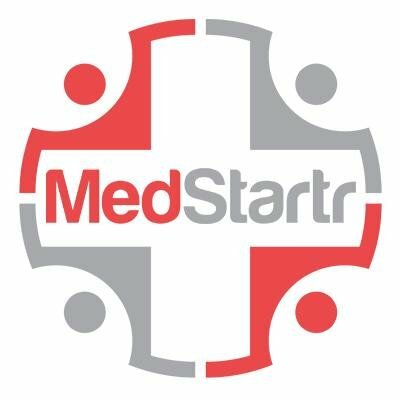 Connected Health Symposium (29-30 October), Boston. More information here. And in London, our partners at The King’s Fund have a wealth of events on their calendar into 2016. [grow_thumb image=”http://telecareaware.com/wp-content/uploads/2014/09/Misfit-shine-wearable.jpg” thumb_width=”150″ /]Last September during NYC Fashion Week, the must-have fashionista accessory for the wrist was a Jawbone, in hard-to-get colors like aqua [TTA 17 Nov 13]. This year, Misfit Shine hit the runways with a vengeance (so to speak) with some…er, interesting…wearables with hard-core appeal. Courtesy of Chromat, it was incorporated into this interestingly air-conditioned evening look. We doubt we’ll see it at Connected Health Symposium in Boston at the end of October…but maybe at CES Unveiled on 11 November in New York. But Jawbone is the one that’s scoring big funding–they’ve ‘jawboned’ another $100 million, the same amount they received in financing last year at this time. It’s a chunk of the $250 million they were raising earlier this year. According to Re/Code, new investors include Rizvi Traverse Management. The round puts the company valuation north of $3.3 billion. Like Misfit, it is also opening up its UP software API to be used by developers on other smartphones, watches and wearables. With our successful request for CATCH at Sheffield, TTA is asking for one or more of our readers who are already attending the Symposium to be volunteer correspondents for the Connected Health Symposium in Boston from Wednesday 23 October through Friday 25 October. 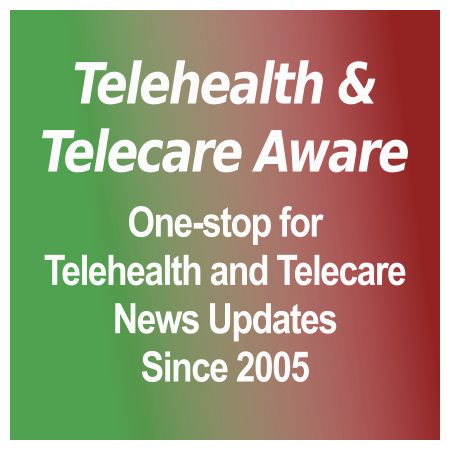 If you are willing to write up an article or a compilation of impressions within 72 hours of the event or even as the days end or start, please email EIC Donna here (donna.cusano@telecareaware.com). It is a large event so it’s expected that you can be selective and interesting rather than comprehensive. You will be credited of course but expenses and article will not be covered.